Island Resort & Casino offers much more than golf. Enjoy dining, hotel, spa, gaming, entertainment, conventions. 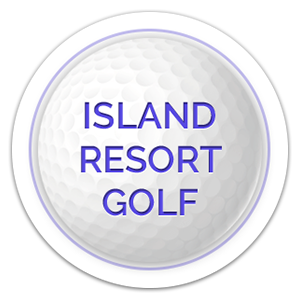 Whether it is a special event or a golf tournament, Island Resort and Casino can accommodate a variety of formal or casual events for players and non-players alike. Want to know more about us? 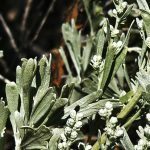 Check out our news & blog Our FAQ is ready to answer your questions. Did find your answer? Contact us. Our friend staff is ready to help. 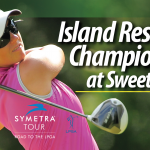 HARRIS, Michigan – On May 22 2018, professional Symetra Tour golfer, Shannon Fish, participated in the annual media tour to help promote the upcoming Island Resort Championship scheduled for June 22-24 at Sweetgrass Golf Club. We were excited to welcome her back. She’s had 7 career Top 10 finishes, two of which were at the Island Resort Championship in 2015 and 2016! Fish, a Texas native, has competed professionally for six years. She was a contestant in two exciting golf reality TV shows, Big Break Atlantis and Big Break NFL. And she has won and event on the Cactus Tour and was the winner of the 2007 Texas Women’s Open and low amateur. Her whirlwind WI/MI media tour included half a day spent on-air with Green Bay radio stations and another day with U.P. radio stations and TV stations to promote the Island Resort Championship and generate excitement for women’s golf in general. 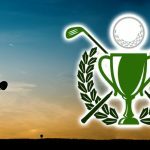 She spoke at the Media Luncheon and was able to golf Sweetgrass before being whisked off to the Delta County Airport to head to her next Symetra tournament event in PA.
To read Fox Sports full article, click here. To read Daily Press full article, click here. It was a delight to have Shannon visit us and we can’t wait to have her back next month for her 6th Island Resort Championship tournament at Sweetgrass the third weekend in June. Tickets are available for purchase at the Island Ticket Office or by phone at 877-475-7469 or from a variety of local non-profit organizations. Tickets are available for purchase at the Island Ticket Office or over the phone at 877-475-7469 or from a non-profit organization. Fish interviewed by ESPN 970 WFUN and Great Lakes Radio. Interview with Mark Daniels WTAQ/WNFL Green Bay. Interviews with WJMN Local 3 and WLUC-TV 6. Media Tour Luncheon at Island Resort & Casino. Speaker: Tim Kramer, Symetra Tour.